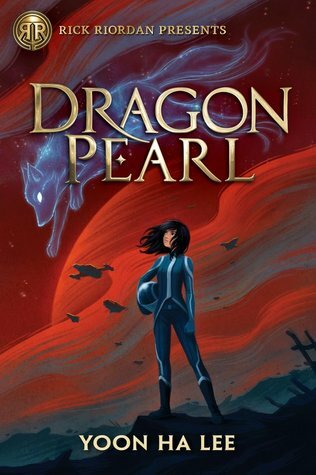 Dragon Pearl by Yoon Ha Lee is the latest book from Disney-Hyperion’s Rick Riordan Presents imprint, whose goal is “to publish great middle grade authors from underrepresented cultures and backgrounds, to let them tell their own stories inspired by the mythology and folklore of their own heritage.” I was especially intrigued by Dragon Pearl with its fusion of space opera and Korean mythology (which Yoon Ha Lee wrote about here), and I’ve been wanting to read more by this book’s author after being captivated by his short story “The Coin of Heart’s Desire,” inspired by Korean folktales about the Dragon King Under the Sea. Though I did indeed love the general idea of this book, I also felt that the story itself was far too rushed and could have been better executed. Perhaps I would have found it to be an exciting introduction to science fiction and space adventures as a middle grade age reader, but the reader I am today—the one who most enjoys character-driven stories with strongly developed interpersonal relationships of all kinds—didn’t find Dragon Pearl particularly compelling, despite appreciating its foundations. Thirteen-year-old Min longs for the day she can leave behind the daily drudgery of maintaining hydroponic units, preparing food, and cleaning air filters to join the Thousand Worlds Space Forces, just like her older brother Jun. But Min’s dream of serving the Space Forces with her brother is threatened when an investigator comes to her family’s home bearing news about Jun: he claims that Jun deserted to find the Dragon Pearl, sought for its incredible power to terraform an entire world within a single day. As surprised as she is to learn that the Dragon Pearl is not merely a legend, Min finds the possibility of her brother being a traitor even more unbelievable. Jun worked too hard to get into the Space Forces to throw away his career like that, and it’s not like him to make waves or bend the rules (unlike his far more troublesome sister). Min is perturbed when her mother politely offers to share food with someone who would accuse her brother of such appalling disloyalty, but she relishes the opportunity to transform herself into a table so she can eavesdrop on the ensuing conversation—even though her mother forbids the use of magic. Min noticed that her mother’s been breaking her own rules throughout this encounter, so why should she obey them? When their visitor has the audacity to threaten to investigate their entire family, Min becomes enraged. She changes back to human form, scattering food all over the kitchen and revealing the very secret she was afraid an investigation would uncover: that she, like the rest of her family, is a gumiho. Although humans are accepting of other supernaturals like dragons and goblins, they tend to hate fox spirits with their reputation for deceitfulness, and Min suspects this man feels similarly. Assuming that he is reaching for a weapon in response to finding himself in their midst, Min responds by swiftly whacking him over the head with a nearby saucepan. Min is tasked with cleaning up the food-based mess she made while her mother and aunties discuss cleaning up the far worse mess she made involving the investigator currently lying unconscious upon their floor. After overhearing a suggestion that perhaps she should be sent away to stay with family friends she’s never met, Min decides to take matters into her own hands and search for Jun herself—and proceeds to Charm and shape-shift her way through the stars on a quest to prove her brother’s innocence. Although I can’t say I found Dragon Pearl to be especially engrossing at any point, it certainly contained various elements that I liked. It has a fun premise with its blend of space adventure and fantasy and story stemming from the strong sibling bond that impels Min to undertake her journey in the first place. The opening chapters were an interesting introduction to Min, and I did enjoy learning more about her fox spirit abilities and the various supernatural beings she encountered, including ghosts and a tiger captain. I was particularly fond of her friendship with two cadets in the Space Forces: a dragon with weather powers and a goblin who could produce food from thin air with their enchanted spork. I also appreciated that there was acceptance of all genders within the Space Forces, the occasional bits of humor throughout the story, and that the ending wasn’t exactly what I had been expecting. But despite all these good pieces, I felt that the book never quite came together as a whole. It’s not actually slow paced since there’s always something happening, yet I found it dull after the first few chapters and struggled to finish it. Once Min sets out to find her brother, she seems to bounce from situation to situation as she meets many different people and supernaturals, and there are far too many characters with too little characterization. The only character who seems at all developed is the main protagonist, and delightful as she is, Min can basically be summarized as being loyal and impulsive (too impulsive if you ask me, but then, this is the opinion of a human who doesn’t have an impulsive bone in her body). This book also seemed incomplete to me since there were a lot of parts that seemed as though they would be expanded on later but were not, and the author has said that this was written as a standalone so there will not necessarily be more to come. I did read an early unfinished copy and it’s possible that this had something to do with that, but there were enough of these instances that I wouldn’t have expected there to still be this many loose ends in a galley. There are details that leave one wondering about what precisely happened, such as Min’s puzzlement over the hidden meaning in a letter and a sword with a scent that seems significant, and these are never explained. In these cases, I can understand a lack of explanation since these were clues for Min and knowing the full story behind them was not actually important to her overall journey in the end (even if I personally wanted more information about them!). However, there was one instance like this I thought should have had some followup regardless. At one point, Min reflects on the fact that she has learned some conflicting information that doesn’t line up, but then this is dropped completely without any further questioning or resolution. Since she is so impulsive, perhaps it just didn’t matter to her anymore once the moment was past—she didn’t try to learn more about other curiosities she encountered along the way once they no longer mattered to her mission, after all—but I found it strange that Min didn’t so much as wonder about it again later. It was described as bothering her, and I find it difficult to believe the determined gumiho who went to such lengths to find her brother wouldn’t at the very least ask about something that troubled her. Though Dragon Pearl didn’t entirely work for me, I did admire the author’s vision of the world and incorporation of folklore and thought it featured some intriguing aspects. 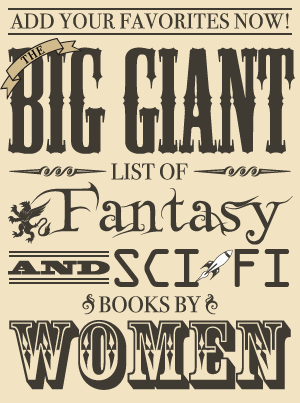 I suspect this imaginative book will resonate more with younger readers and those who prefer plot-driven books over character-driven ones (and it has indeed gotten many rave reviews!). Where I got my reading copy: ARC from the publisher.